After a hard life in a Cleveland orphanage, baby boy Frankie Bono grows up to be a hired killer, someone who prefers to be alone. And for good reason. His latest target is a second-string crime boss in New York. It won't pay Frankie to get seen. But he does get seen. The fat gun dealer, with pet rats, who haggles with Frankie on the price of a gun and a silencer, sees Frankie at a nightclub and figures out too much. An old friend from the orphanage sees him at a bar and convinces him - against his better judgment - to come to a Christmas party. The friend has a beautiful sister, someone Frankie remembers, someone special. She makes him vulnerable, emotional. And that's exactly what Frankie can't afford to be. Regions are unavailable for this movie. 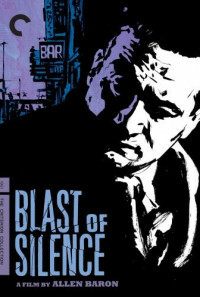 Click the "Watch on Netflix" button to find out if Blast of Silence is playing in your country.